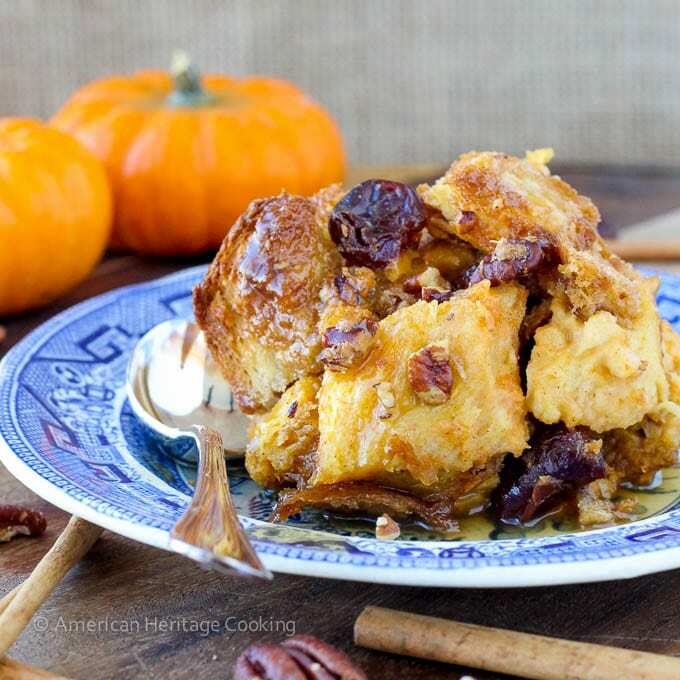 A creamy Pumpkin Spice Bread Pudding studded with Bourbon-soaked dried cherries and topped with a rich Maple Bourbon Cream Sauce! 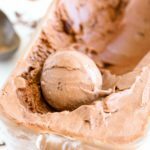 A decadent, yet incredibly easy dessert to pull together! A long, long time ago I shared my long-running obsession with Bread Pudding. If it is on the menu, I will order it. Rarely does it live up to my standards: too dry, too dense, too bland. I solved this problem by crafting my own. 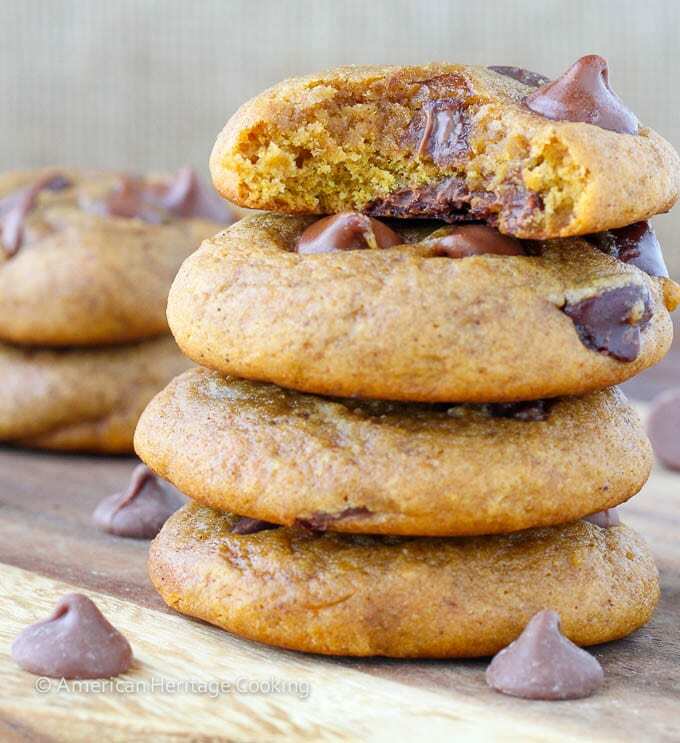 It is an easily adaptable recipe that I have adjusted here to include pumpkin, brown sugar and spices. 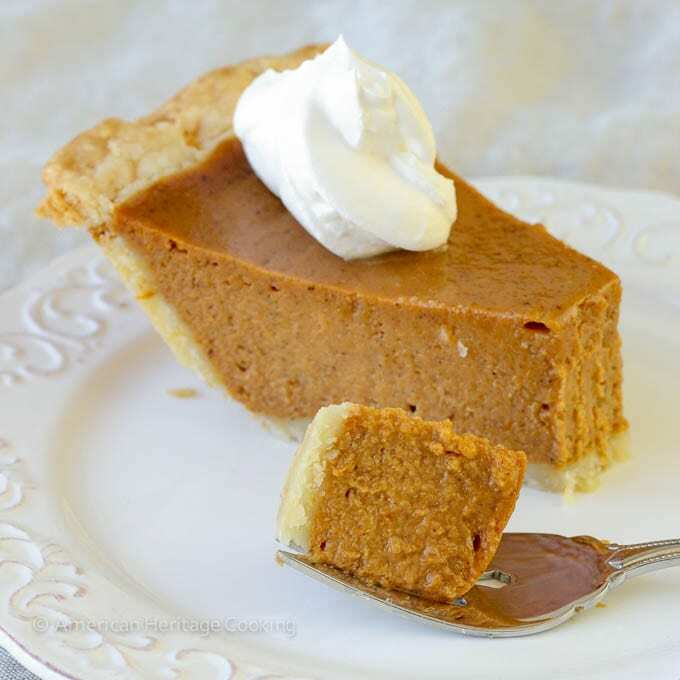 You will love the pumpkin custard spiced with cinnamon, nutmeg and ginger! I like to keep the bread in larger pieces so that they are small enough to form a cohesive pudding in the custard but large enough to still keep their shape. It is also nice not to feel like you have a brick in your stomach after dessert. This trick eliminates the brick effect. 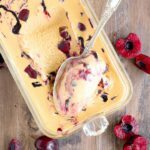 Every few bites you get a burst of flavor from a bourbon-soaked tart cherry, which balances the sweet custard. The crunchy, sweet pecan-studded bread topping contrasts nicely with the creamy pudding. A symphony of textures and flavors. And then there is the Maple Bourbon Cream Sauce. Oh, the sauce! Maple and brown sugar temper pungent Bourbon and all that is left is a creamy, sweet maple bourbon flavor. It blends together beautifully with the pumpkin, spices and tart cherries. Bite after bite, plate after plate, you won’t be able to resist the sensational flavors and textures of this dessert. I suggest you make room for this dish at your holiday table or, it’s so easy to pull together, I suggest you whip this up tonight and wow your guests, family or just yourself. And if you do make it for the holidays, it will be gone before the pumpkin pie! 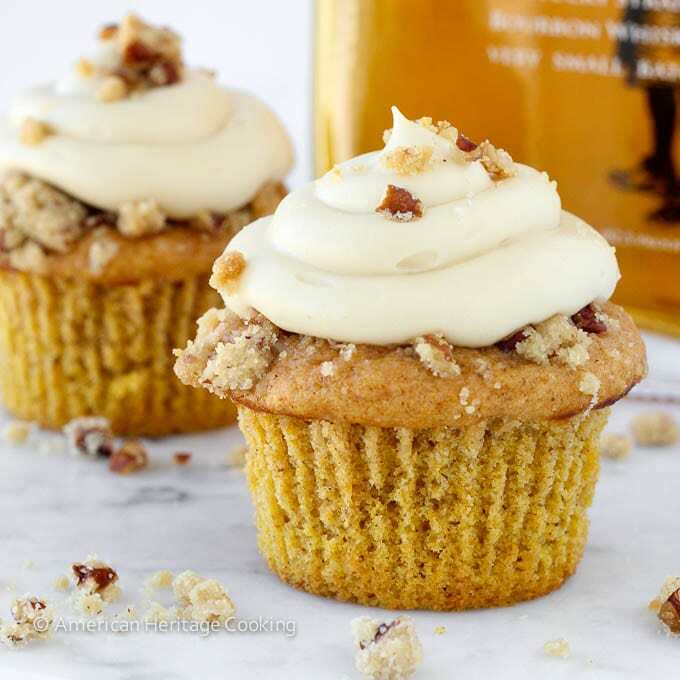 This easy Pumpkin Spice Bread Pudding is currently tied with these Pumpkin Pecan Pie Cupcakes for my favorite pumpkin dessert that I’ve made this season! There are many factors that determine if a bread pudding is going to be good; this is my formula. Pick the right bread. I LOVE Challah because of its flavor, texture, and crust. 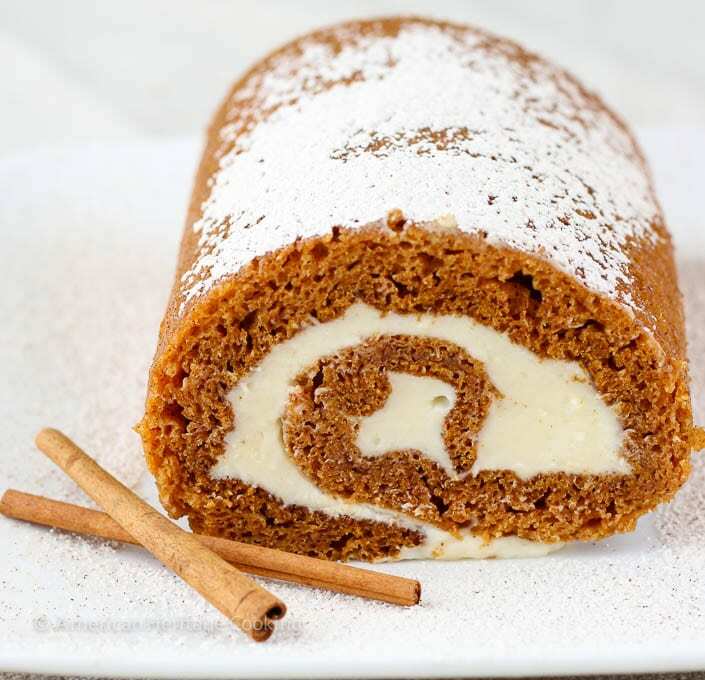 Dense, whole-wheat breads are not a good choice because they make the pudding heavy. Buttery brioche is always a safe choice. Age your bread like a fine wine, okay, maybe not quite as long as a fine wine, but do allow it to dry out a bit. I like 3 day old bread. It also helps it not dissolve into one dense mass. Large pieces of bread – I like to cut my bread into ½ – ¾ inch cubes. This allows for the custard to soak into the bread and create a cohesive pudding but it does not allow it all to melt together into one solid brick. No bueno. Keep the crusts. This is not a PB&J, the crust has a function here: it doesn’t absorb as much of the custard so it will provide a different texture. Butter is not always better. I don’t use butter in my bread pudding custard because I don’t feel it adds anything here. And that is that. La Sauce: I am not as strict about my bread pudding sauce as I am about other aspects. 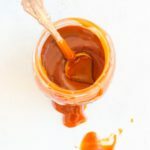 I love a good Bourbon sauce, caramel sauce, or sticky toffee sauce. But a sauce is a must. Why? Who doesn’t love sauce? Nuff said. Dried fruit is a requirement for me. It just is. Even better if they are soaked in booze. And the secret that tops all secrets for an excellent bread pudding is a crispy topping. It’s all about the sweet, crispy topping. Right before putting my bread pudding in the oven I mix together brown sugar, cinnamon, toasted pecans and melted butter and toss a cup of reserved bread pieces in it. These top pieces are slightly submerged so they are crispy on top and softened by the pumpkin custard on the bottom. Heaven on Earth. So far, my favorite bread puddings can be found in St. Louis. If you are visiting or you live there, and you are craving bread pudding, you must go to Remy’s in Clayton and Cyrano’s in Webster Groves. On a side note, I don’t know if Cyrano’s still has it but they used to have the best Gooey Butter Cake in St. Louis (according to me and my best friend, Julia). 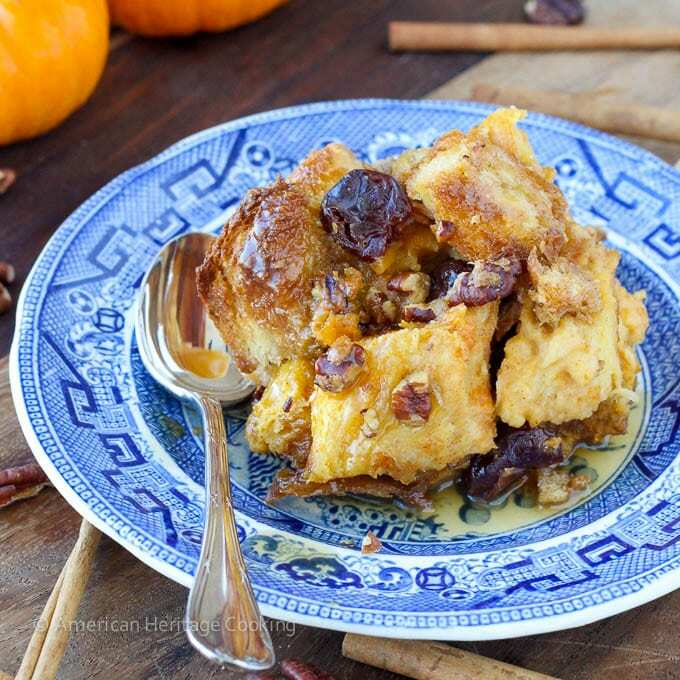 A rich, creamy Pumpkin Spice Bread Pudding that is studded with Bourbon-soaked dried cherries and topped with a rich Maple Bourbon Cream Sauce! 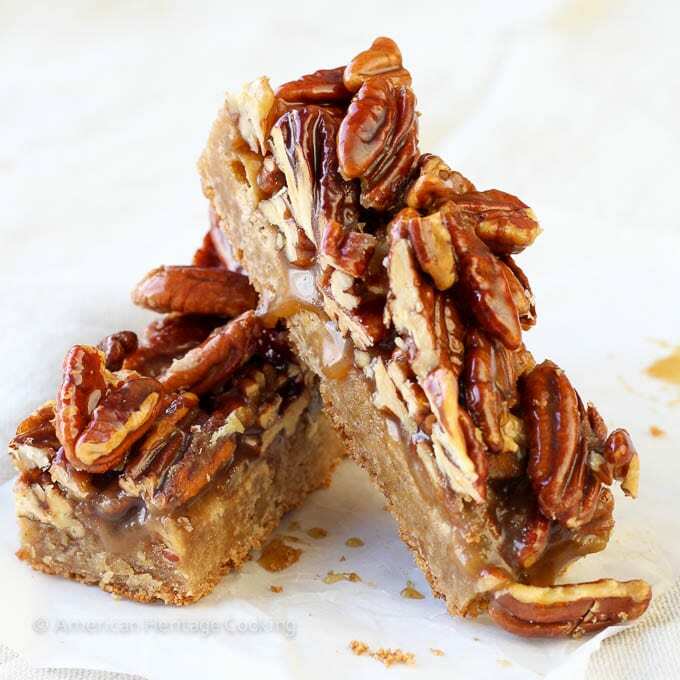 Decadent, yet easy dessert! 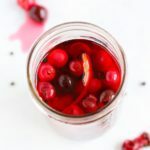 Microwave Bourbon and cherries on high in a small bowl for 1 minute. Set aside to cool. Whisk together in a large bowl the milk, cream, pumpkin puree, and eggs until completely incorporated. Whisk in sugar until dissolved. Add the spices and Bourbon soaked cherries and any remaining Bourbon; whisk to incorporate. Add the 5 cups of bread to the custard and mix with a wooden spoon or spatula until all of the bread is coated and has started to absorb the liquid. Pour carefully into an 8 inch square baking dish, cover with plastic wrap and allow to sit on the counter for about 20 minutes. Prepare your topping while your pudding rests: mix all topping ingredients together in a medium bowl until the bread is coated in sugar and butter. Distribute on top of the pudding, pressing down slightly so that the larger pieces are partially submerged. Bake in preheated oven for 50-60 minutes, or until the custard is set and no longer jiggles when shaken. I also use a toothpick to test the center to make sure it is not still liquid. It will never come out clean like a cake. Let cool on a wire rack at least 20 minutes prior to serving. You can serve it warm, room temperature or cold. 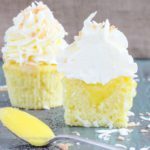 I prefer it warm or room temperature – after refrigeration, the topping will begin to soften and lose some of its charm. While the pudding is cooking, make the sauce. In a small saucepot, stir together all ingredients for the sauce. Bring to a boil over medium heat, stirring occasionally. Reduce heat to low and simmer for an additional 10-15 minutes or until the sauce has thickened to your liking. Remove from heat and cool slightly before serving. Sauce can be served hot, warm or at room temperature. It will separate in the refrigerator, reheat and stir to mix back together. This is the maple syrup’s fault. No loaf of bread is going to produce perfectly sized 3/4 inch cubes and that is great! A little variation is okay, even encouraged. *Prep time includes allowing the pudding to rest 20 minutes. **You can easily make this ahead through step 4. Cover with plastic wrap and refrigerate until ready to bake. Start with step 5. Wow! That looks incredible Lindsey! I just love bread and butter pudding but this looks unlike any other bread pudding I’ve ever seen! Thanks, Jess! It was the best bread pudding ever! Yum! I will take it to a party Saturday. It looks great, and I don’t have any time to spare this time of year. Many thanks!! 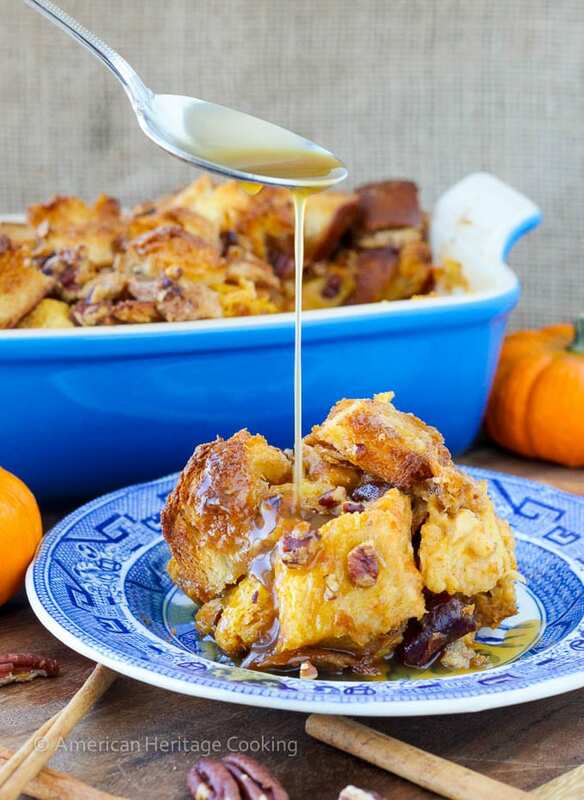 This bread pudding is so gorgeous.. totally loving the maple bourbon sauce.. Yumm!! Lindsey. This bread puddings looks absolutely delicious, but I must say that I’m surprised there’s no mace in the recipe. 😉 But that maple bourbon sauce? Umm…seriously?? I think I need to just pour that into my coffee in the morning. Or better yet, just pour it straight into my mouth. Can that be arranged? I also have to give you props for your pics here. I’ve been too scared to go for a bread pudding recipe because I’m not sure I can make it look good. Your version looks awesome! 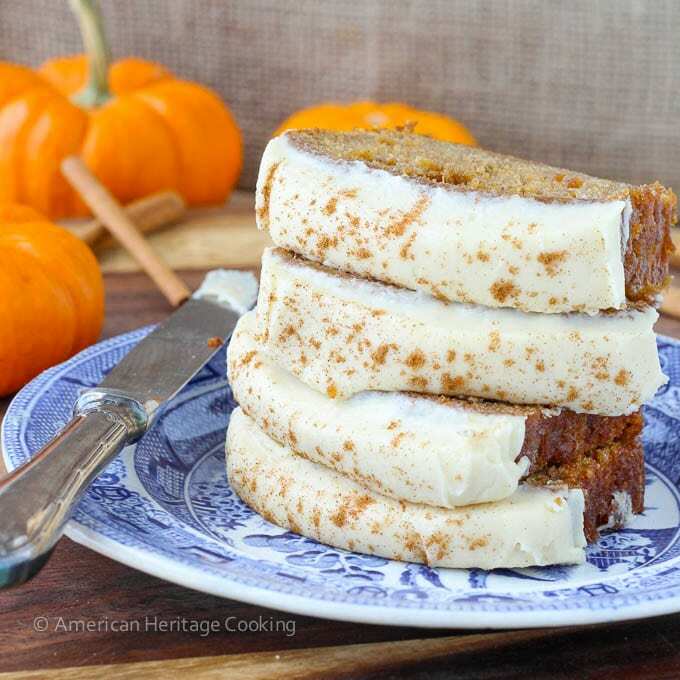 What a great pumpkin dessert! 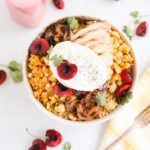 I love how you added cherries and pecans, and that sauce looks amazing! 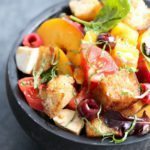 I haven’t tried making bread pudding, and yours looks fantastic! It’s so easy, Kristine! Way easier than I imagined it to be the first time I made it. If you lived closer, I could totally make that dream come true! I have kind of a love/hate relationship with bread pudding. I love it when it’s prepared right, it’s such a comfort food dish to me. But I hate it when it lacks in flavor and is too mushy and just plain blah. So I’m always hesitant to order it in restaurants! But this version looks so amazing, Lindsey! I absolutely love this flavor. And you give such great tips, too! Pinned! I feel exactly the same way! I guess I figure that the times when I get it and it is perfect, are worth the dozen other times when it is a dense, flavorless brick! You should just make it at home! Problem solved. Oh my god! I don’t think I’ll be able to resist these, will probably eat everything in one go! look so so good Lindsey! Thanks for all those great tips! Pinning! Um, I want the whole pan please. PINNED! Thanks for the pin, Dorothy! My husband almost ate the whole pan! It was soooo good. I even ate it cold. Haha! I bet the brick effect has ruined bread pudding for many people and it makes me sad. Truly sad. I’m not familiar with pain de mie – is it like brioche? Pain de mie is a white bread — it’s fluffy and so light in bread pudding. My cooking instructor said that and challah or brioche were her top choices! I’ll have to keep an eye out for pain de mie! This looks like a slice of fall heaven! 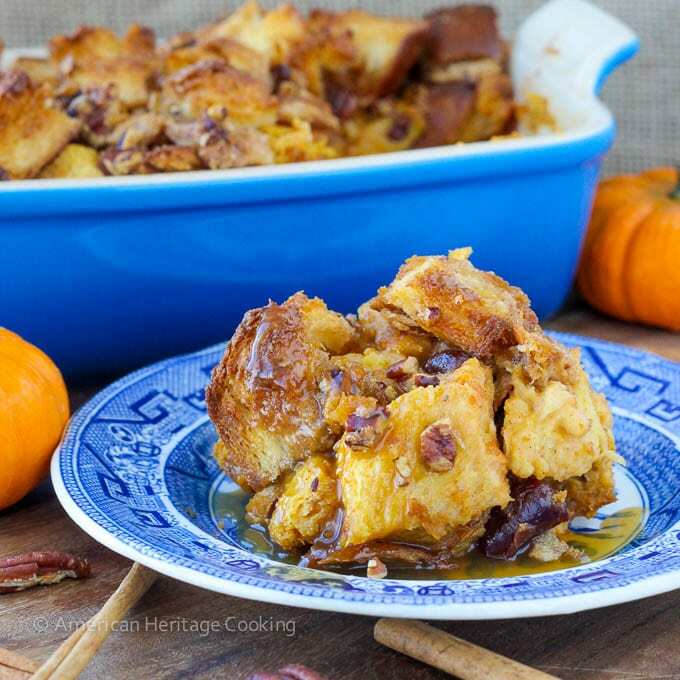 I love bread pudding too…but only when I make it at home! These bread pudding looks amazing!! And that sauce…omg, drooling. Love your tips for bread pudding too. 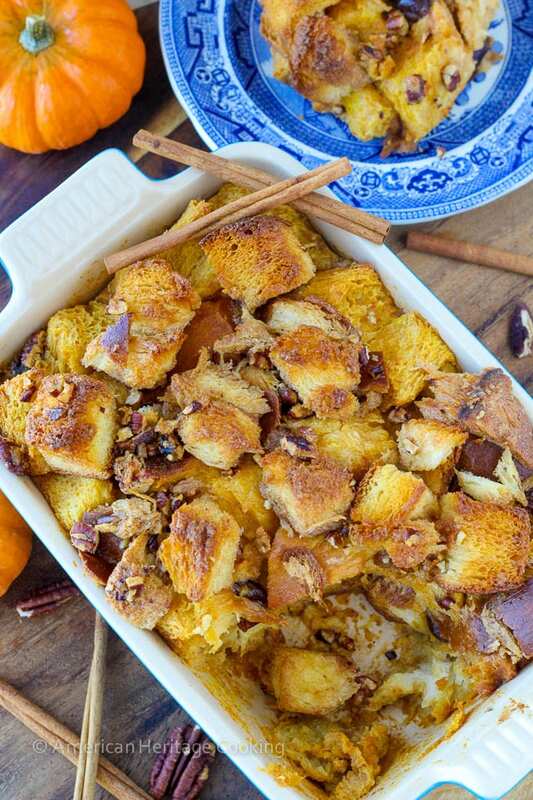 Coming from a bread pudding novice, it’s great to hear your suggestions! Thanks, Rachel! I think you’ll find it’s beyond easy to make! And so delicious….can’t forget the sauce! 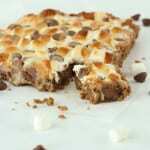 Lindsey – I am at a loss for words – this bread pudding has me mesmerized! 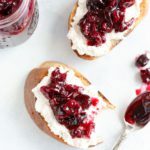 I am loving all the crunchy and creamy and sweet and tart textures and flavors in this – each bite is like an adventure! Thanks for the tips – I used to always cut the crusts off – the few times I attempted to make bread pudding – oh, I would butter the slices! Totally gorgeous! 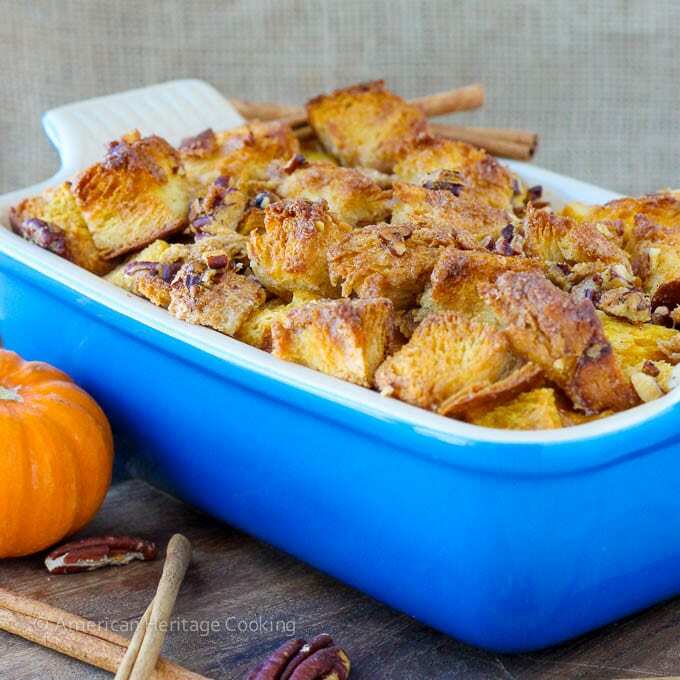 This bread pudding sounds heavenly! Um maple bourbon sauce? Wow, I totally want to drink that up by itself – I’ll take the whole pan please 🙂 Pinning! Haha! Thanks, kelly! It was difficult to share 🙂 Thanks for the pin! 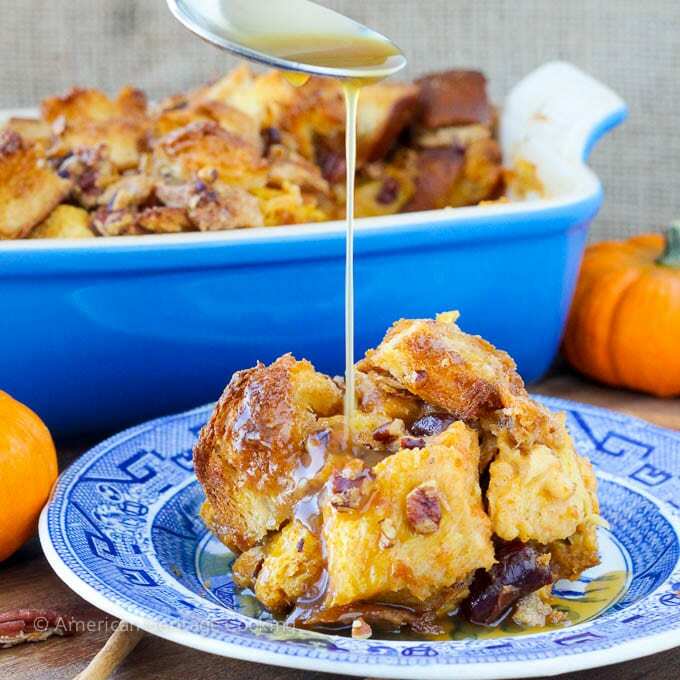 This bread pudding sounds absolutely amazing!! 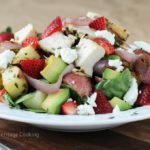 I’ve never tried to make my own before, but this recipe may push me to try! Found you through the Monday Funday party! it looks delicious .exactly my type.